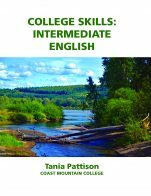 This is an English language skills textbook to help ELL students acquire communication skills in the workplace (listening, speaking, reading, and writing). 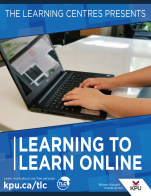 The book is aimed at Canadian Language Benchmark (CLB) levels 5/6, focusing on intercultural skills and essential skills: reading text, document use, writing, oral communication, thinking skills, working with others, and computer use. The digital PDF file can be printed or used from a computer. All of the multimedia files can be accessed from the PDF if there is internet access. For offline use, the video and audio files can be downloaded below. In the Workplace cover by Bow Valley College is under a CC BY-SA 4.0 license (https://creativecommons.org/licenses/by-sa/4.0/). 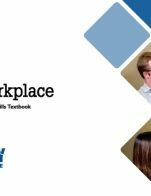 In the Workplace: An Intermediate Integrated Skills Textbook by Bow Valley College is licensed under a Creative Commons Attribution-ShareAlike 4.0 International License, except where otherwise noted. The topics in this textbook are relevant to the workplace and well chosen. The topics start with entry into the workplace and beyond to career development. The main topics are Workplace Environment, Personal Management, Workplace Communications, Clients and Customers, and Career Management. Both the table of contents for the textbook and the table of contents for each chapter are far too general. It would be much more helpful to the instructor to know the specific content topics of not only the textbook, but each individual chapter in the table of contents. It would be extremely useful to know from the table of contents for each chapter what the specific language focus is and specific workplace topics are other than simply listing Listening, Reading, Writing and Speaking. Each chapter does focus on the four skills: Reading, Listening, Writing, and Speaking. However, you have no idea what the language and workplace focus is until you start working through the chapters. For example, Chapter 3 covers the following topics: Health and Safety, Policy and Procedures, within the general topic of Workplace Communication. It also covers the language focus of presentations and writing emails. Presenting these specific topics in the table of contents would make the textbook much easier to work with for both teachers and students alike. The textbook appears to be free from grammatical errors and is accurate. This textbook will be easy to update if necessary. Each chapter has two tasks per skill area. Therefore, anyone of these tasks could be easily updated to keep the material up to date. 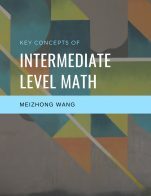 One of the strengths of this textbook is that it is written in a way that is easy to follow along. This is done in a very creative and engaging way of including additional notes throughout the chapters for the reader by incorporating two characters. One is called ‘Ray’. 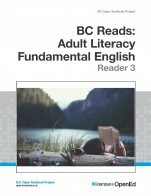 Ray provides detailed explanations of the language focus of study for each chapter. The second character ‘Sandy’ is the workplace mentor and the notes provided give tips on workplace culture in Canada. Therefore, any doubt that a student may have with respect to the language focus of the chapter or workplace cultural practice related to the topic of the chapter is addressed with side notes throughout the chapters by ‘Ray and Sandy’. The text is consistent in its formatting and language throughout the 5 chapters in the book. Each chapter follows the exact same format. Both receptive skills are presented first, reading and listening. This allows for vocabulary building and comprehension. Followed by the productive skills of writing and speaking. The chapters are too long and should have already been divisible into smaller parts. This textbook could have been easily divisible into ten chapters or two books. Having done so would have made the textbook even easier to adapt and assign at different points within a course. The topics in this book are presented in a logical and clear manner. For the most part the textbook was easy to navigate with quick access links to vocabulary and cultural notes from the appendix section. However, this was not the case for the Listening excerpts. There was no quick access to return to content pages and this at times felt somewhat tedious to navigate. Further, one of Listening excerpts in Chapter 3 was no longer available. Diversity was lacking from this textbook. Of the six characters presented in the textbook, only one is a visible minority. Otherwise, there was no real sense of diversity and inclusion illustrated in the textbook. This would be an excellent introductory course book to Business English on its own or used as a supplementary course book. The balance between language focus and business topics was very well integrated throughout the entire book. The extension activities in each chapter provided many opportunities for real world tasks.